Australian Prime Minister Malcolm Turnbull has expressed hope that Indonesia will one day join the revamped Trans-Pacific Partnership (TPP), popularly known as TPP-11. The TPP was revised and signed by 11 initial founding countries — minus the United States, which withdrew from the deal last year — on Mar 8, in Santiago, Chile. The countries pledged to ratify the TPP-11 this year so it could begin to include new members in 2019. "We try to keep the train on the track and of course it is now open for others to join. Indonesia perhaps, in the future, Mr. President [Joko Widodo], is there," Turnbull said at the CEO forum during the ASEAN-Australia Special Summit in Sydney on Saturday. He said that other countries were interested in joining the TPP, including the United Kingdom (UK), even though it was not located in the Pacific region. "The UK expressed a strong interest in joining the TPP after it exited the European Union," he said. Jokowi has expressed his intention to join the TPP, but has also made clear that Indonesia was in no hurry to join the trade deal. "Caution is of the utmost importance in calculating this. Everything must be calculated for the sake of national interests. It is all still in the process,"€ the President said in Palm Springs, the US, in February 2016. 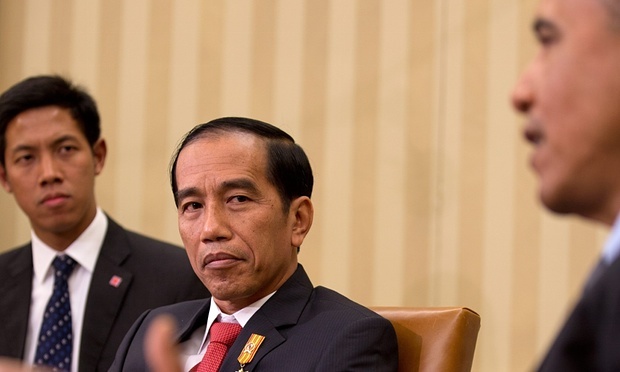 Indonesia has yet to comment on the trade deal after the signing of TPP-11. The TPP-11 members are Australia, Brunei Darussalam, Canada, Chile, Japan, Malaysia, Mexico, New Zealand, Peru, Singapore and Vietnam. Without the US, the trade deal covers 13.5 percent of the world’s GDP.